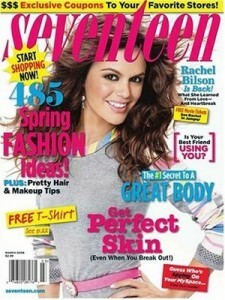 Tanga has Seventeen Magazine subscriptions for $4.50 using SOUTHERNSAVERS coupon code at checkout! You can get up to 5 years at this price. Seventeen Magazine is wildly popular for young adults and contains articles on fashion, celebrity news, and more. Please allow 8-14 weeks for delivery. Remember, this deal is valid today, 10/19, only.